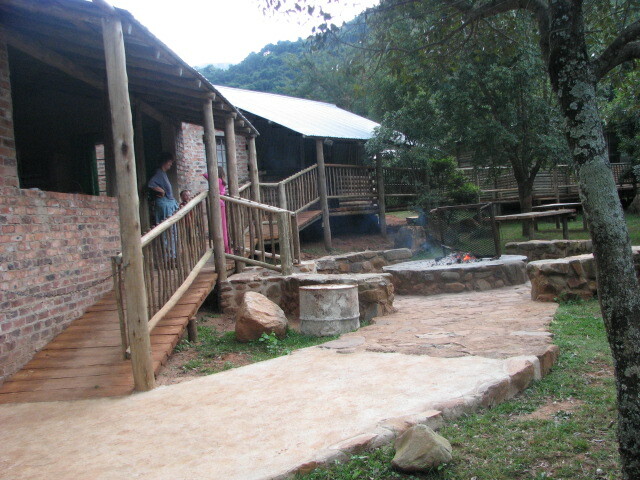 KIEPERSOL KAMP is situated alongside the Schoonspruit stream and accommodating minimum 12 adults, maximum 24 people and minimum 2 nights. 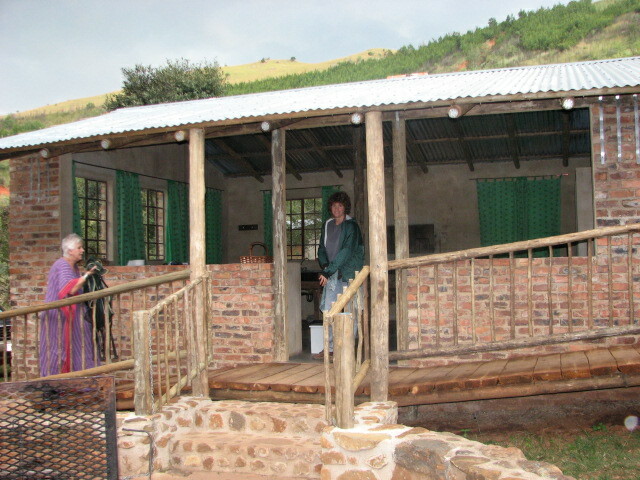 It is a very comfortable and convenient camp, slightly primitive as there is no electricity. 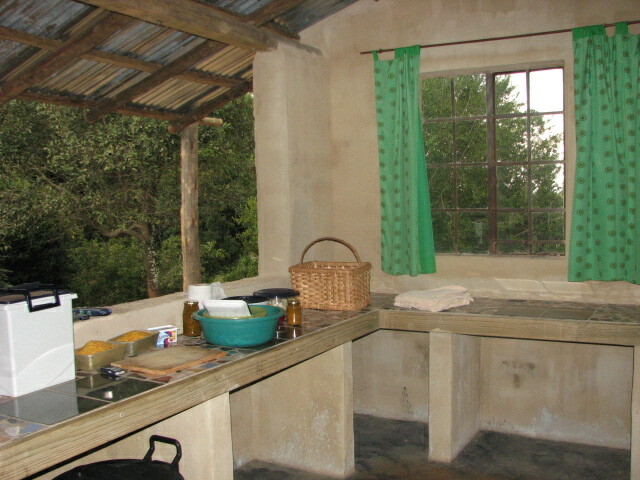 The huge kitchen, with an undercover braai in case of rain, is very convenient. There are four different sleeping rooms, sleeping 5, 5, 5 and 8. 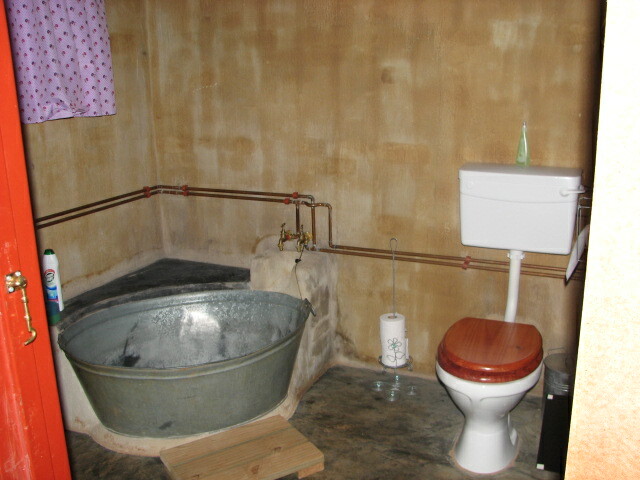 The ablution has spacious and very clean flush toilets, double showers and a zinc tub. Ample toilet paper is supplied. 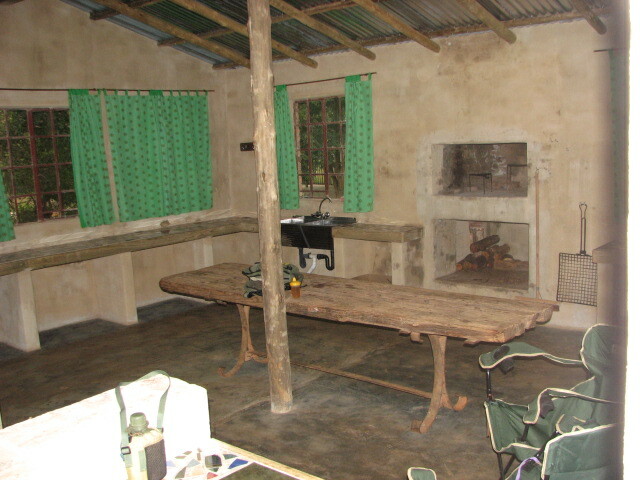 Spacious kitchen with undercover 'braai' in case of rain! 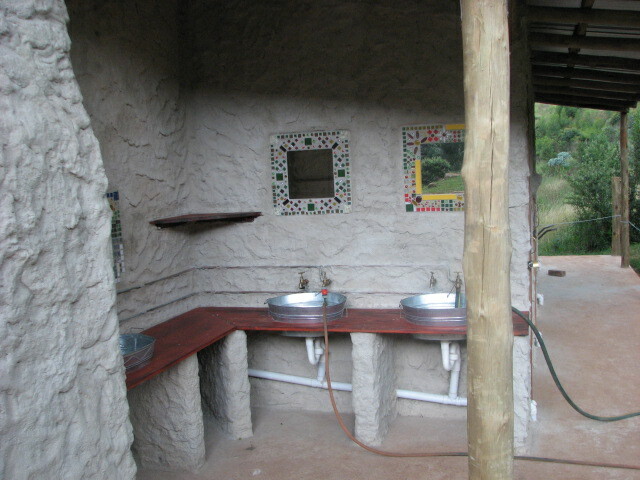 Kiepersol Kamp's ablution facilities is "five star" for hikers! Three extra oudside wash basins with mosaic mirrors. Zinc tub for the ladies and children. Don't forget the bubble bath!!! No room service is provided in any of our accommodation.